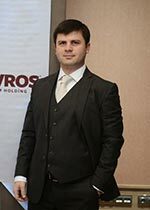 İlhan Mürsel in hotel and investment sector as a successful businessman has entered to entertainment business with Kalyan Lounge. In April, Kalyan Lounge started with its first location in Hyatt Regency Hotel, Ataköy-Istanbul, having one of the best and mesmerizing view in Istanbul has now serving in four different locations. Kalyan Lounge with its great architecture, synthesis of a design mixture of east and west, warm atmosphere, experienced team and hookahs with various aromas providing an extraordinary experience of water pipes. Kalyan Lounge achieved a great success in a very short time and successfully spread this high quality hookah experience to Istanbul by opening three new places following Hyatt Regency Istanbul Ataköy. You can try Kalyan Lounge hookah experience now also in Grand Hyatt Istanbul, Le Meridien Istanbul Etiler and Zorlu Center Raffles hotels. Kalyan Lounge also has taken the distribution rights of two worldwide known high quality hookah brands, in Turkey. These are: Fumo Design LLC producing in the USA and offering unique hookah design, and, Meduse Design Ltd. with its limited number of production in Czech Republic using bohemian glass. Hyatt Regency Istanbul Atakoy Hotel’s terrace will warm your heart with all tones of blue embracing you together with pool and the sea, pleasant moments for both your taste and your soul with each special flavor in our menu is waiting for you at Kalyan Lounge. Every detail at Kalyan Lounge is designed for guests. Kalyan Lounge is preparing to be the most popular place of attraction in Istanbul. 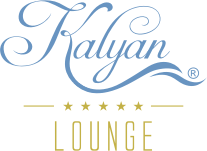 Kalyan Lounge, where you can enjoy premium kalian 24/7, will become your new habit in a short time.